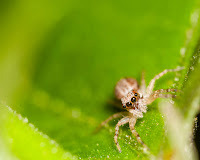 Dave's Photo Blog: Spiders of the Jumping Variety. One must do a great deal of hermeneutical gymnastics to escape the plain meaning of Genesis 1-2. Earlier, I posted a Dragonfly shot. 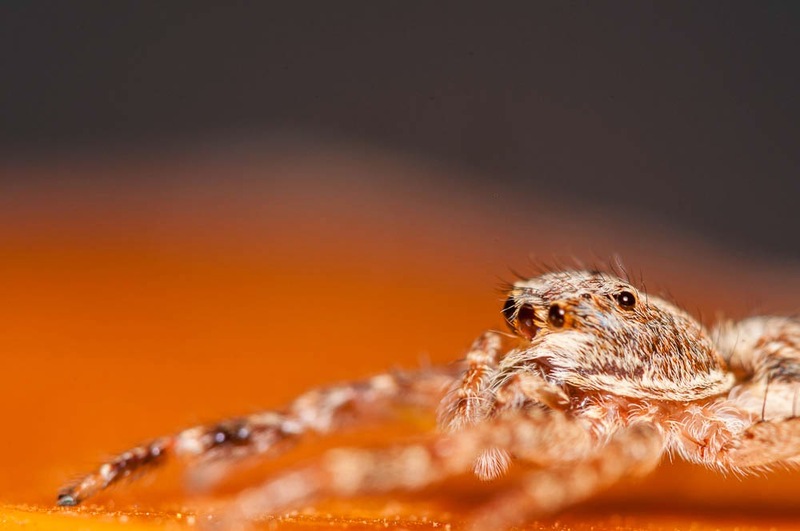 If you have not seen that yet, see it here along with a link to an interesting article about Dragonflies being used as a model for missile guidance systems. 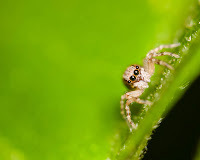 In the same short shoot, I found a few (OK, a lot) of Jumping Spiders. These little guys have held a special place in my heart ever since I first looked at one through the viewfinder - the little guy jumped at me, scaring me half to death and very nearly resulting in myself falling off the chair upon which I stood. The two spiders on display here are in the same family, but one is significantly younger than the other. As always, click the images for a better view. Again, all credit should be given to the Master Designer; Me pressing a button pales in comparison.